Wollert’s newest $400m masterplanned community, Lyndarum North, has received the highest possible level of certification under the Urban Development Institute of Australia's (UDIA) national EnviroDevelopment program. The EnviroDevelopment certification requires developments to satisfy all six key criteria in order to achieve the highest possible rating, and is determined by a panel of government, industry and environmental experts. The elements required in order to achieve certification are: ecosystems, water, energy, waste, materials and community. UDIA (Vic) CEO Danni Addison said that certification in any one of the elements is a significant achievement for a development. 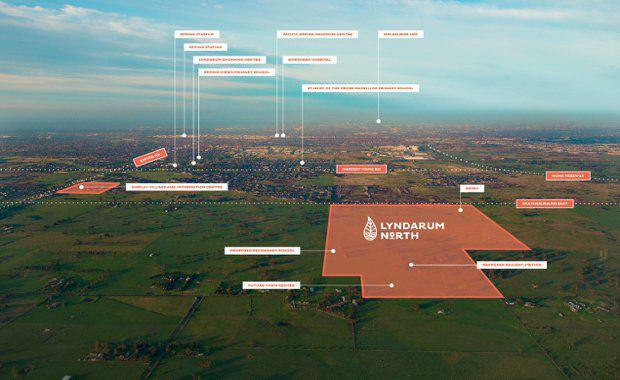 “Melbourne’s northern region is the big winner as Lyndarum North achieves EnviroDevelopment certification from the UDIA," she said. “The EnviroDevelopment certification empowers purchasers to make informed assessments as to whether a property offers the green features they are after. "When purchasers see any one of the EnviroDevelopment symbols on a development, they can be assured they are buying into a project that is excelling in that specific area of sustainability. "One of the many key design principles within the masterplan, which contributed towards the accreditation, was the project’s dedication to greenspace. The greenspace totalled more than 20% of the masterplan and included the retention of significant River Red Gum Trees and local conservation reserves which significantly exceed current development practices. AVJennings General Manager Angus Johnson said the certification would deliver a new benchmark for the City of Whittlesea where sustainability and environmentally-conscious design is a key consideration when creating and delivering new communities. “We are delighted to be honoured with the EnviroDevelopment certification across all six elements. “Not only has AVJennings introduced a number of environmentally sustainable design elements into the community, our carefully created design guidelines also encourage our residents to choose more sustainable building and design practices when building their own homes. “Through easy and approachable sustainable living practices, everyone is able to contribute towards meeting the goal of developing sustainable communities,” Mr Johnson said. Located just 27 kilometres from Melbourne’s CBD and surrounded by convenient road and public transport links, Lyndarum North will be a well-connected, liveable community with easy access to the Hume Freeway, Epping Road, and Craigieburn railway station. On completion the masterplanned community will house the area’s largest Town Centre and a range of community services such as a proposed train station located within the site. The certification is not only a first for the City of Whittlesea and the suburb of Wollert, it is also the first time community developer AVJennings has achieved the coveted accreditation.